Several Democratic governors are promising federal workers who have gone without pay during the government shutdown that they are eligible for unemployment benefits. During a federal shutdown, states may extend the benefits to furloughed employees, consistent with state law. Benefits are generally not given to “excepted” federal workers who are still working but won’t be paid until the shutdown is over, according to the Office of Personnel Management (OPM). Employees deemed “necessary” are paid throughout the shutdown and do not qualify for benefits. Depending on state law, furloughed workers may have to pay back the value of the benefits received after the shutdown ends if Congress agrees to retroactively pay federal employees for their furlough hours, according to the OPM. 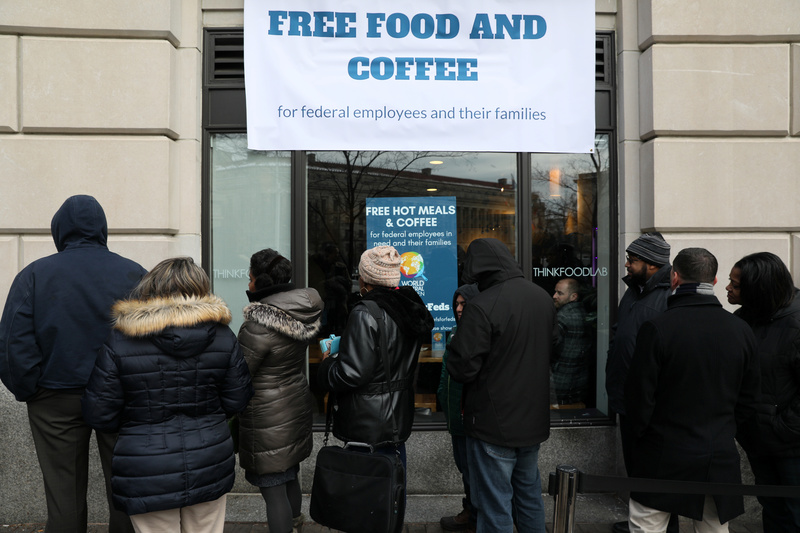 Many private companies and corporations are also offering financial help to furloughed federal workers. Many banks and credit lenders are waiving late fees and offering discounted or interest-free loans. The phone service provider AT&T has promised furloughed federal workers to wave late fees on all bills until after the shutdown is over.